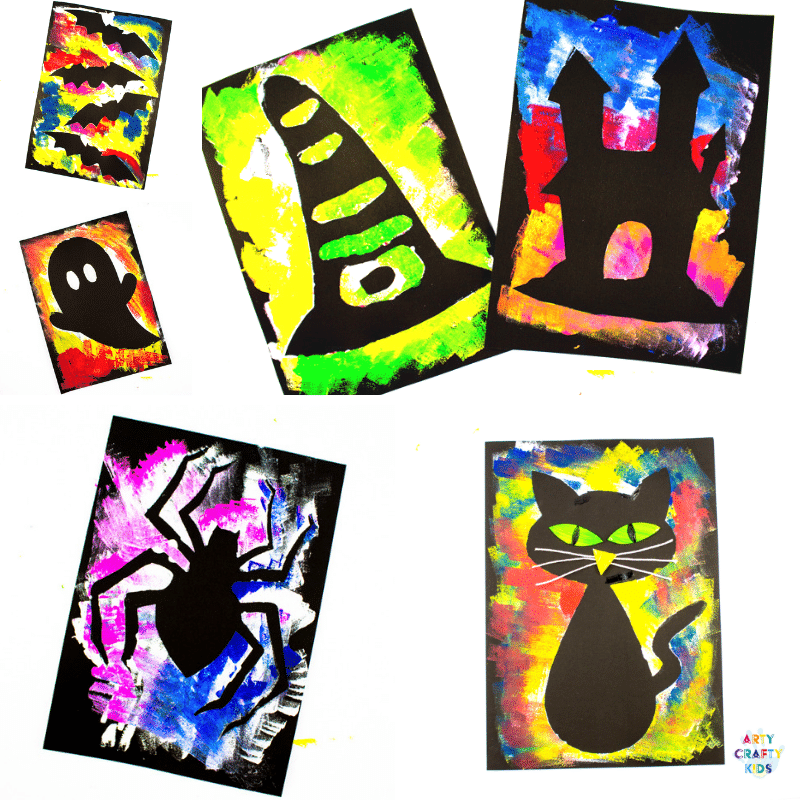 Create brightly coloured, abstract Silhouette Halloween Art with a fun choice of Halloween themed templates, including a Witches Hat, Haunted House, Friendly Ghost, Bats, Spider and cute Black Cat! 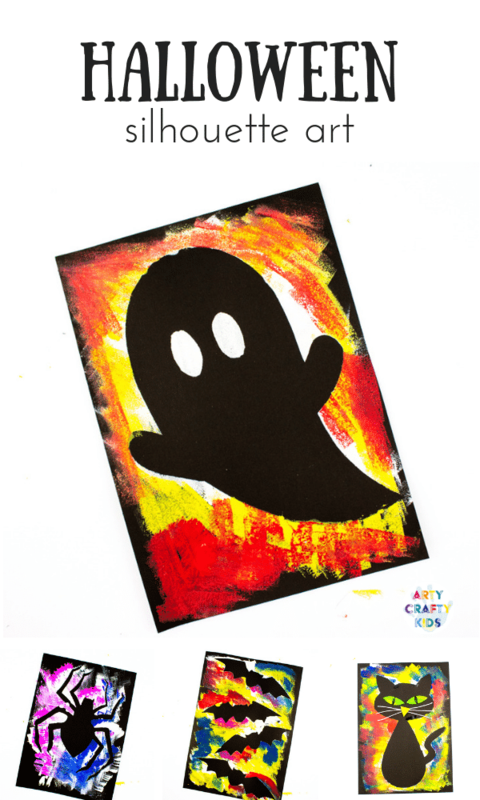 Using a simple process, Arty Crafty Kids will have the best time painting and exploring colour to bring their silhouette characters to life! 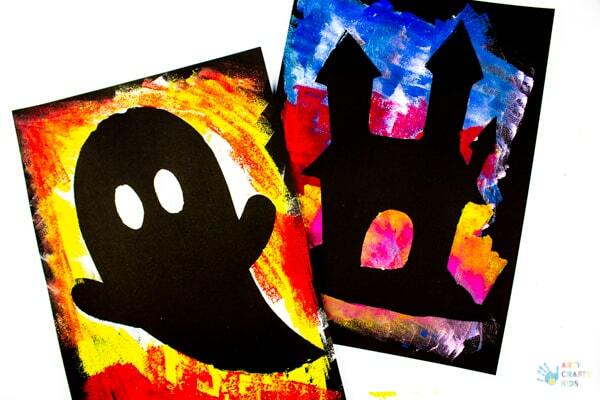 A haunted house freebie can be found towards the end of this post when you sign-up to our newsletter, alternatively, sign-up to our online membership area to gain access to our full catalogue of art & craft templates! Step 1: Download your selected template and print. 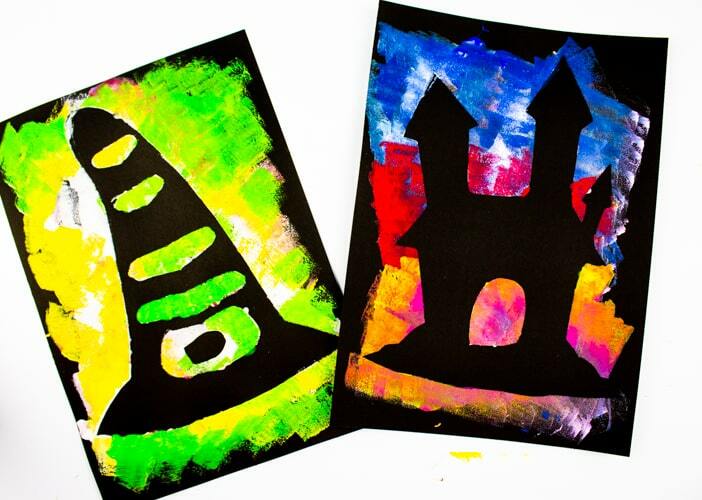 We have six templates available, including a spider, witches hat, haunted house, bats, ghost and black cat. 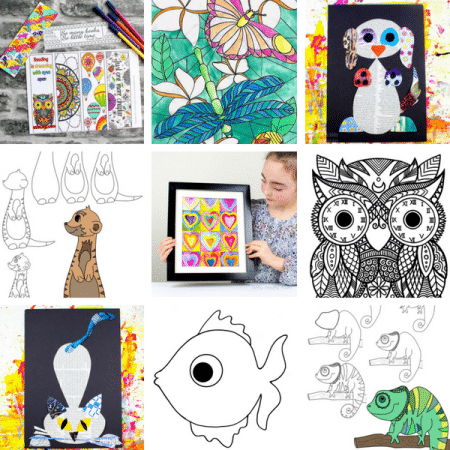 These can be accessed within the Arty Crafty Kids online membership area or you can download a freebie via the sign-up form found towards the end of this post. Step 2: Cut the chosen shape out. 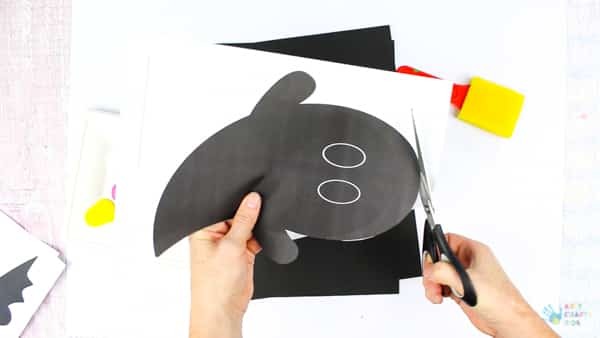 The templates have been designed to encourage Arty Crafty Kids to practice their cutting skills. The smooth lines and simple shapes are perfect for little hands to navigate and their extra large shapes allow for mishaps. 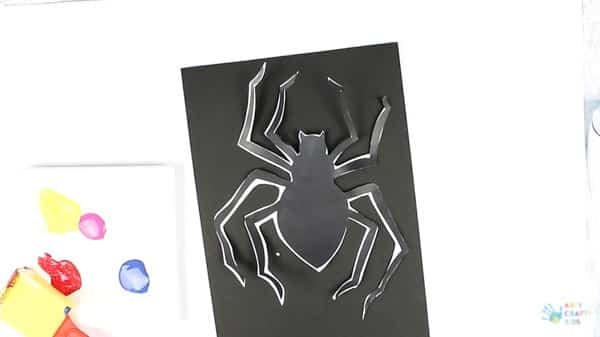 The spider template is a little trickier and would recommend allowing some additional white space around the legs (as shown above). Step 3: Cut out any extras. Windows and doors for the haunted house. A buckle and holes to suggest stripes on the witches hat. 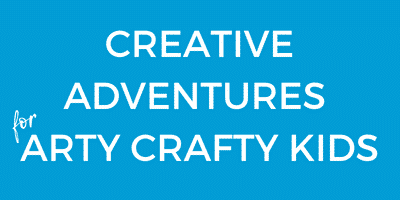 And any other extras your Arty Crafty Kids fancy adding. Step 4. 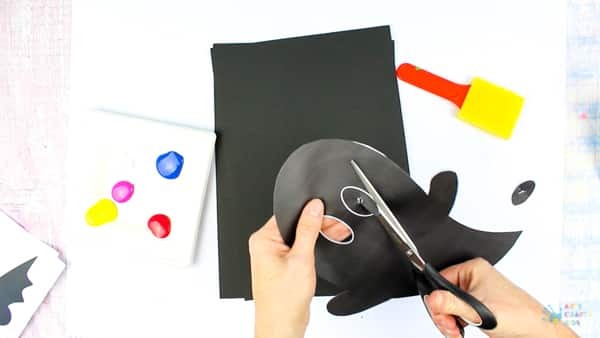 Place the silhouette onto a piece of black cardstock. 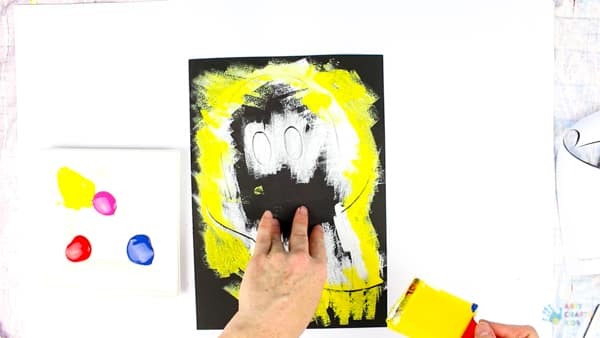 Apply white paint (ideally acrylic) to the sponge and begin gently dabbing the paint around the silhouette outline. With each silhouette, start with white. This not only creates a bold and striking contrast against the black, but it also acts as a good base layer for other colours. Step 5: Add a second colour. As per the previous step, follow the outline of the silhouette and extend further into the black space. Step 6: Continue to add additional colours. 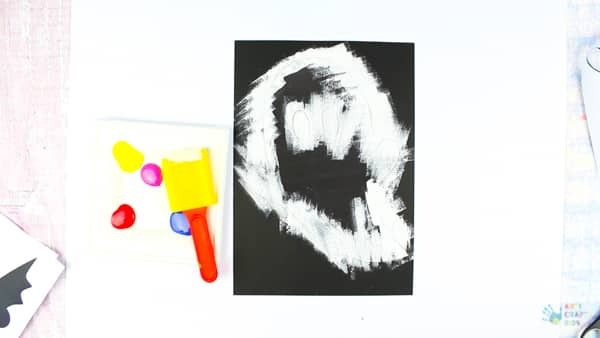 Your Arty Crafty Kids may begin to notice that some colours will change as they layer and blend. This is a great opportunity to talk about colour mixing, inviting the kids to describe the changes they observe. 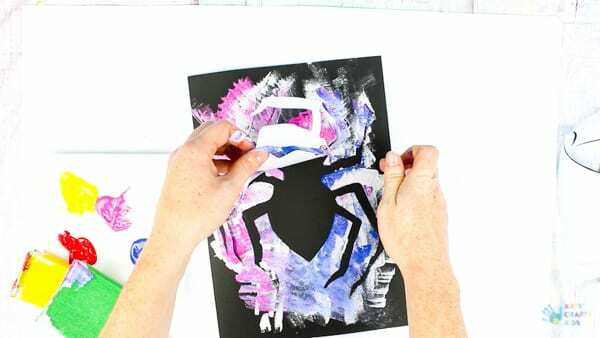 Step 7: Once your Arty Crafty Kids are happy with their painting, gently peel the template away to reveal the silhouette. 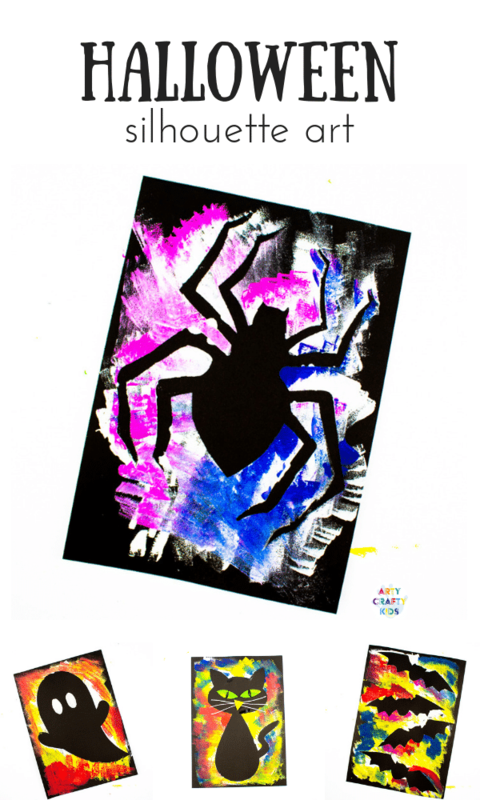 Silhouette art is created by painting negative space. To explain this simply, negative space is the area that surrounds the subject or point of interest. In this instance, our point of interest is the ghost and haunted house. It’s a fun and abstract technique, that’s perfect for colour play. 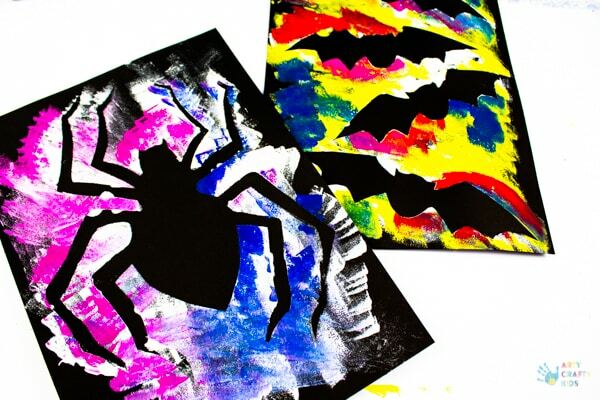 With the ease of ready-mixed paint, it’s tempting to offer the full spectrum of ready-made colours, however, this denies kids the opportunity to experiment, play and ultimately learn through the process of trial and error. 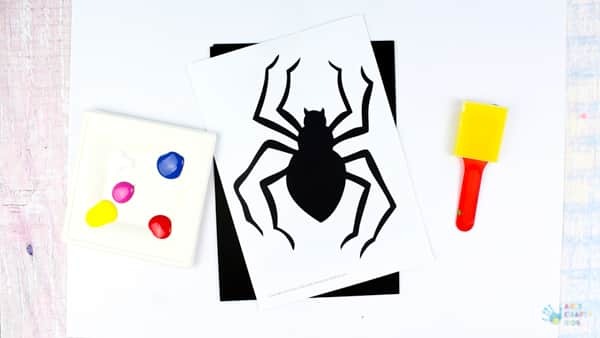 For this reason, our Arty Crafty Boxes and many of our projects focus on primary colours, with the addition of white and black. 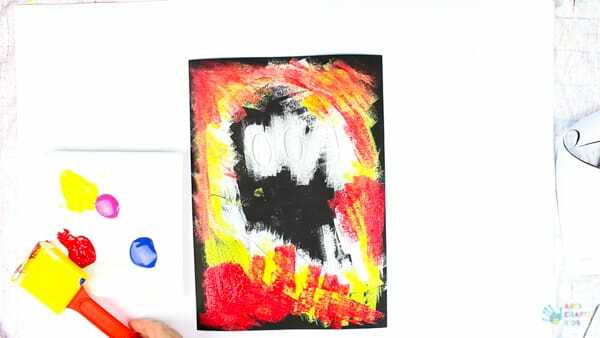 This is to encourage Arty Crafty Kids to explore and develop their colour mixing skills. How much yellow and red do you need to make orange? How many shades of blue can you make? What happens when you mix all the colours together? 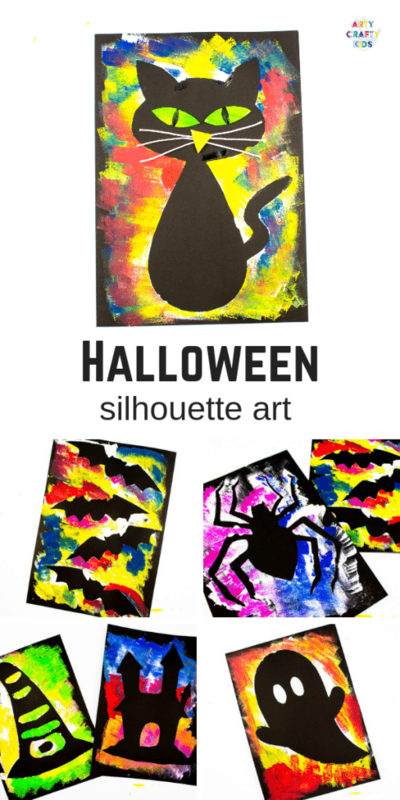 I hope your Arty Crafty Kids enjoy creating their own Silhouette Halloween Art!